PHOENIX – November 20, 2017 – Saying, “You can’t delegate being a son and a father,” head football coach Scooter Molander has stepped aside from the position in order to focus on caring for his ill parents and supporting his family through a difficult time. Molander will continue to teach in the social studies and physical education departments at Brophy. A Brophy coach for 17 years, and head coach for the past 13 years, he has led the team to two state titles, three appearances in the finals and five in the semifinals, and has reached at least the quarterfinals of the state tournament in 12 of the past 13 years. Just as important, says Molander, are the three Matt O. Hanhila Sportsmanship Awards his teams have earned during his tenure. Molander has coached 845 varsity players and countless other student athletes since taking the reins as head football coach. Additionally, 41 of his athletes have gone on to play Division I football and 28 have entered football programs at academically elite schools, including 14 to Ivy League colleges and four to Stanford. Molander met with his team this afternoon to break the news. 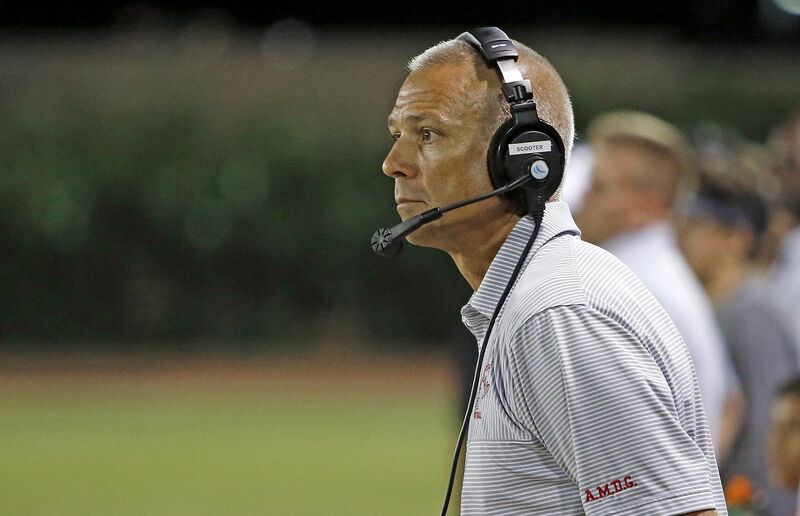 Brophy will begin the search for a new head coach immediately.